My parents worse criticism was to call someone "plastic." This meant the person was shallow, or put on airs, or just had nothing inside. I often thought the people they called "plastic" were nice. They were the ones that liked to fit in, play golf at the country club, have dinner parties where nobody got stoned or talked about revolution. As an insult, plastic just didn't seem too bad. 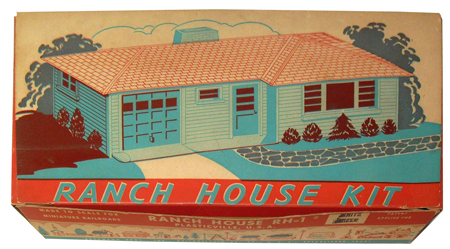 When I came across a model ranch house from a place called Plasticville I was stunned. 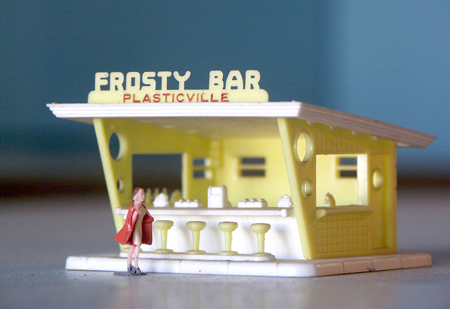 I would have no problem living in Plasticville. First, what a marvelous name. 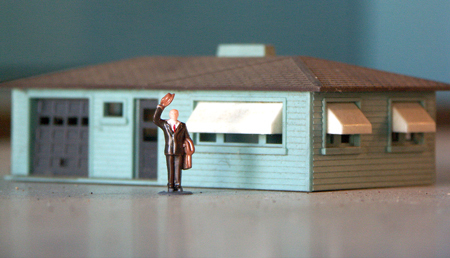 Second, it conjures up a nice, sterile, small community where nobody colors outside of the lines. 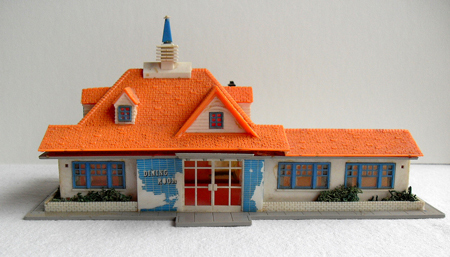 I would be more than happy to live in my plastic ranch house and take my plastic brief-case to the plastic Howard Johnson's for breakfast with my fellow plastic business associates. 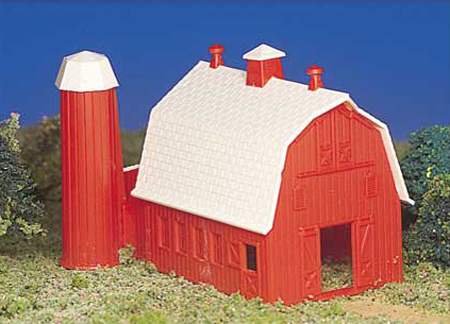 I could visit my plastic grandparents' farm with a barn. 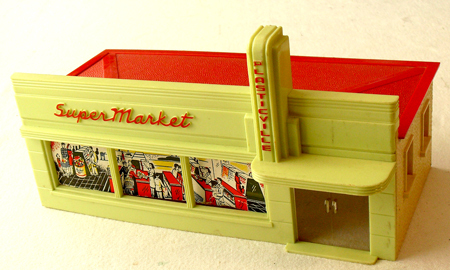 I would shop at the plastic Supermarket. Nobody would ever say anything awkward, or unpleasant. There would be no concern about the economy or deadlines. Unfortunately, I think this is what my grandparents tried to create in the 1950s for my parents. That didn't go so well. I assume my plastic children would eventually rebel and go to live in Rubber Soul City.